An action-packed suspense-thriller starring Saoirse Ronan (Atonement, The Lovely Bones), Hanna is "an exuberant chase thriller that pulses with energy!" (Justin Chang, Variety). 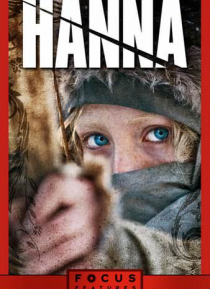 Raised by her father (Eric Bana), an ex-CIA agent, in the wilds of Finland, Hanna's upbringing and training have been one and the same, all geared to making her the perfect assassin. The turning point in her adolescence is… a sharp one.